After graduating with the highest honors from the Conservatory of Genoa (Italy), MARCO RAPETTI furthered his musical studies in Florence, Cremona (University of Musicology), Paris (with Yvonne Lefebure, a pupil of Debussy) and in the United States with a Fulbright scholarship. At the Juilliard School of New York he received his Master of Music and Doctor of Musical Arts degrees (with a dissertation on cognitive psychology related to musical memory). He has studied, inter alia, with such noted musicians as Aldo Ciccolini, Seymour Lipkin, Rosalyn Tureck, the Trio di Trieste and the Juilliard Quartet. Rapetti has been awarded many prizes in national and international competitions. He has performed in important concert halls (Alice Tully Hall, New York; Foro Italico, Rome; Teatro Regio, Turin; Palazzo Labia, Venice...) and prestigious musical festivals (Festival Chopin, Paris; Estate Chigiana, Siena; Amici della Musica, Florence; Festival Slavia, Bologna...). He has also appeared with chamber ensembles and orchestras, playing music by Schumann, Liszt, Saint-Saens, Prokofiev, Rachmaninov, Britten, and others. Rapetti has made numerous recordings both for radio and television and for the Fonit-Cetra, Dynamic, Stradivarius, Frame, Phoenix and Brilliant labels. In the 1993 edition of American Record Guide, G. Morin wrote that "[Rapetti] has both technical skill and musical intelligence, an uncommon combination that is apparent in the choice of material and in the way he performs it." In 1998, the German magazine Fono Forum spoke of "fabulous piano playing" and "a philosophical approach to music". His passionate activity as a researcher in the field of piano repertoire has led him to rediscover forgotten works, among which two unpublished pieces by Liszt and Ravel, and to revalue several lesser known composers. In 1994 he premiered the complete cycle of 36 Fugues by Antonin Rejcha in Lincoln Center (New York). In addition, he was the first Italian pianist to perform the monumental piano sonatas by Dukas and Balakirev, as well as Schulhoff’s piano works. In 2005 Rapetti premiered, at the Quirinale Palace in Rome, Alfredo Casella’s piano duo transcription of Mahler’s Seventh Symphony. This performance was later released on CD. Rapetti has always shown a keen interest in the combination of music and theater. Among his creations, we find: "Clazz-Jassical: the black and the white continents confront each other", performed in duo with jazz pianist Mauro Grossi, "From Mozart to Rzewki: two centuries of music and words in the name of Freedom" with the actress Pamela Villoresi, "Onirofonie: concert-lecture on music in dreams and dreams in music" with the psycologist Valeria Uga, "From Broadway to Via Larga: a musical promenade between Firenze and New York" together with jazz singer Faye Nepon, and others. 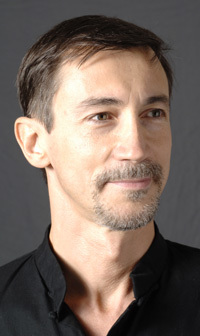 Rapetti started teaching when he was 22 at the Conservatory of Milan and at the Scuola di Musica di Fiesole (Florence). Between 1990 and 1992 he was teaching assistant at the Juilliard School. Since 1991 he has been assistant at the Accademia Chigiana in Siena in both chamber music and conducting classes. From 1999 to 2001 he was visiting professor at the University of Hawai’i. In 2007 he was invited to give a master class at the Haydn Konservatorium in Eisenstadt (Vienna). He is presently professor at the Conservatory of Genoa. He has published pedagogical and musicological articles in important Italian magazines, such as Piano Time, Il Giornale della Musica, Musica Domani, and collaborates with the Italian Broadcast Company (RAI - RadioTre) as a radio speaker for a daily program on classical music.